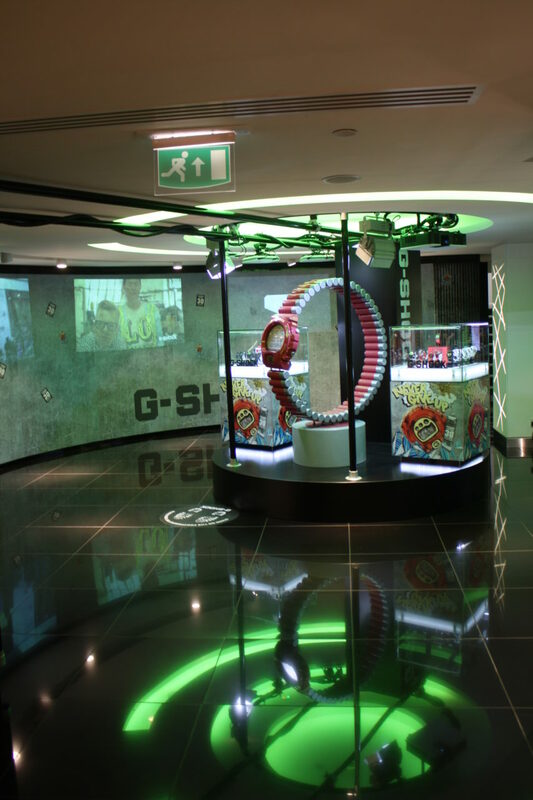 In order to meet Casio’s objectives of increasing brand presence and driving product sales, Love Creative Marketing organised a Pop-up retail experience (also known as a pop up shop) for the Casio G-SHOCK range in London’s Harrods. 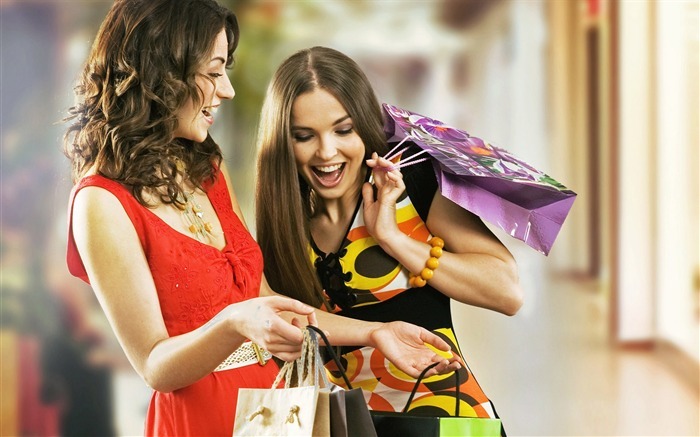 The aim was to target fashion orientated, 18-30 year olds, providing a premium shopping environment and an additional reach via online platforms. 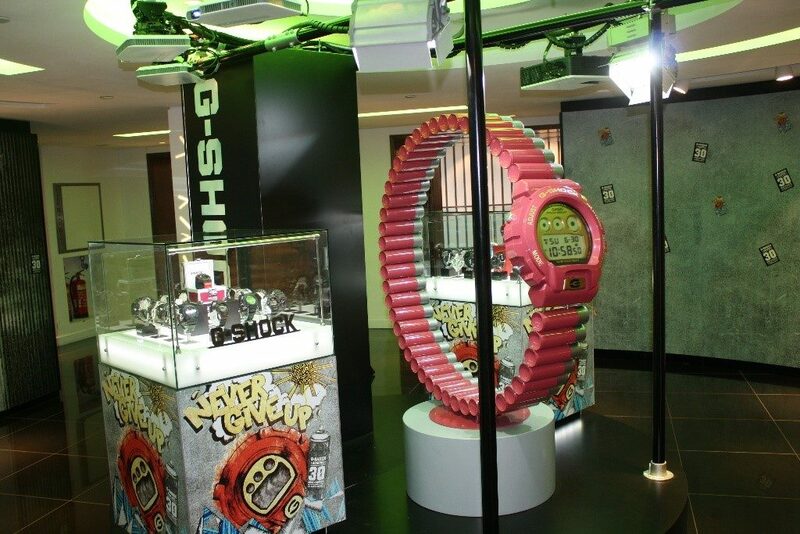 The pop-up installation was erected and featured a bespoke, giant sculpture of the G-Shock 30th anniversary watch made entirely from graffiti spray cans. 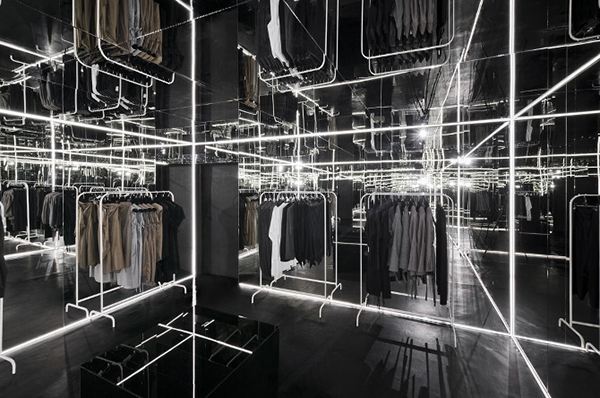 The installation also featured an interactive photo system allowing shoppers to have their photo taken and automatically uploaded on to Facebook via the G-Shock website. This was done with photo sharing software which automatically matched their photo with the participants Facebook page. 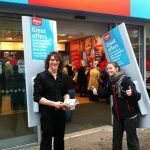 Branded albums were posted to each consumer’s timeline, consisting of a branded album cover, graffiti art work and their in-store photo. 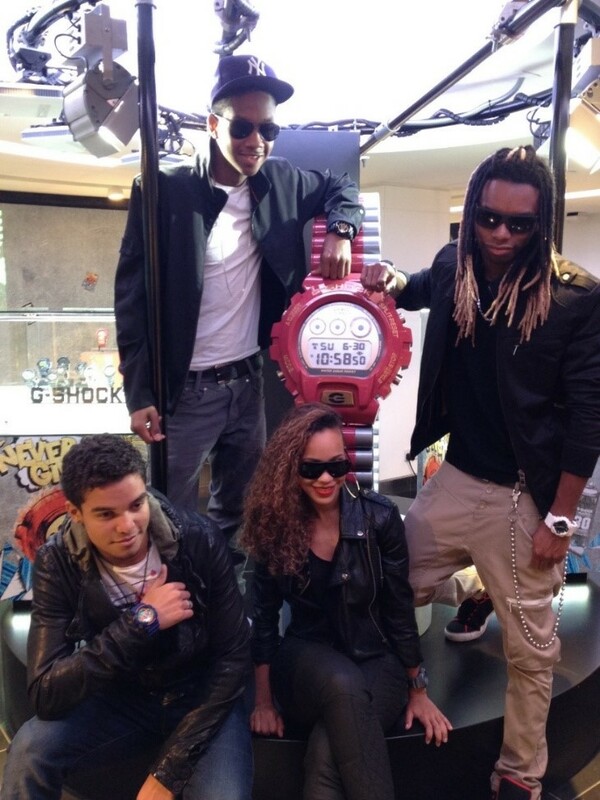 Promotional staff entered into a competition to win G-shock prizes and 2 winners were picked per week. Prizes consisted of two tickets to the 30th anniversary party, a limited edition G- shock watch (only 100 made in the UK) and additional prizes. Following the huge success of the pop-up retail experience in Harrods, London, Casio decided to continue their 30th anniversary celebrations by extending their integrated marketing campaign to Selfridges, Birmingham. 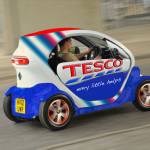 267 posted their branded photo to Facebook timeline. This was posted as an album with a G-SHOCK campaign branded cover and a 30th anniversary branded back. Harrods: Featured in Harrods media catalogue as one of the best pop-up shops ever to be in the space.